Gymnastics – Junior, Senior, 1st and 2nd Classes attend a fortnightly session for gymnastics. This is held, every alternate Monday for Junior/Senior Infants depending on class size and on every alternate Wednesday for 1st & 2nd Classes at St. Multose School Hall. Sabine Graef is the school’s Gymnastics Coach and is assisted by teachers from the school. The pupils are collected from the school and transported to St. Multose Hall by coach. G.A.A. 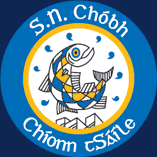 Coaching (Sciath na Scol) – The South Eastern division of the Cork County Board provides an external coach, on a fortnightly basis for the instruction in the skills of hurling, cam—ige and football and this is available to all pupils from third to sixth class. All pupils are transported via bus to St. Multose Hall on alternate Wednesdays for these coaching sessions.